Summer is finally here! Our trip to Singapore was nothing short of amazing food and plenty of sunshine. It was pretty humid and we got lucky we didn't get any rain while we visited. 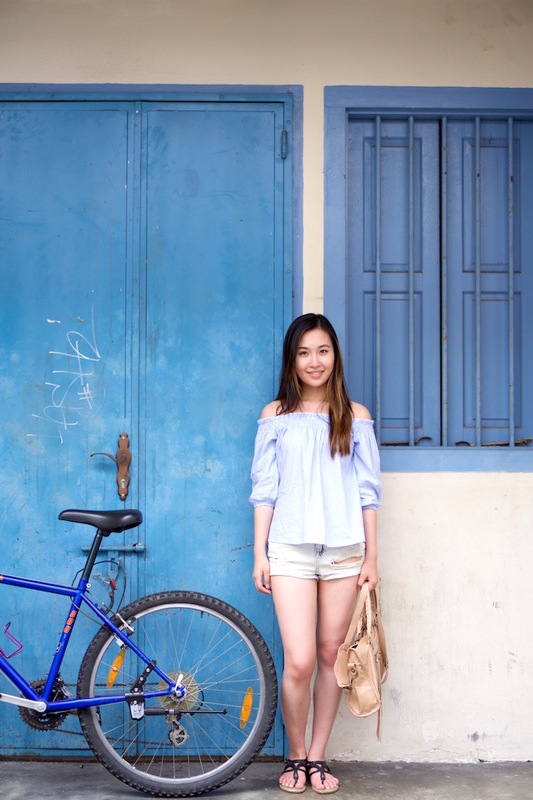 I couldn't wait to finally wear summer clothes, especially my off the shoulder top which is a popular summer favorite for everyone. I paired it with a pair of distressed jeans to offset the feminine top for a pop of edge. 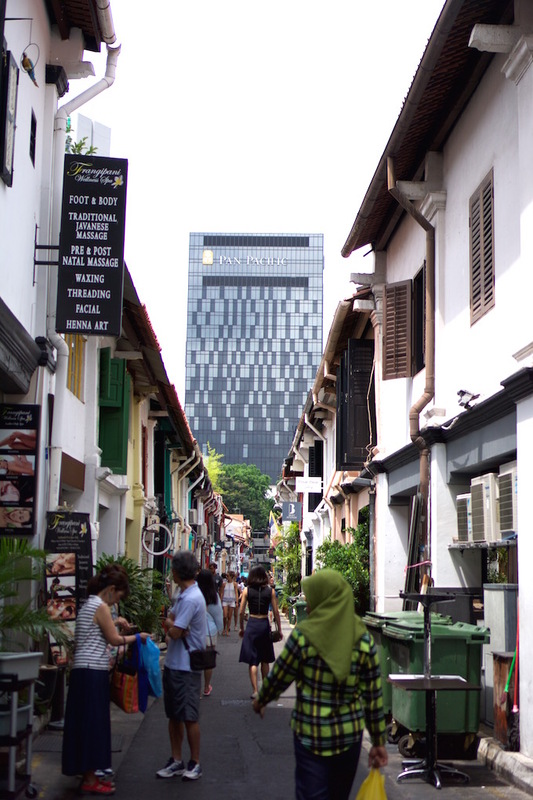 One of the highlights of the trip was shopping at Haji Lane. It's a long street filled with boutiques that has clothes from local designers to other small international brands. There's also plenty of gadgets, collectibles, you never know what you'll find in each store. I had so much fun visiting each one to be surprised what I'd find next! Can't wait to share the rest of my Singapore trip with food recommendations and plenty of mouth watering food pics, of course!